Only submissions in this thread, please. Welcome to the 18th edition of the Limit Theory Fan Contest! This month will be about "Beauty". It doesn't necessarily have to focus completely on beauty, but it must openly feature the topic in some form. Be a little creative, and I'm sure you can come up with something awesome. Everyone can make as many admissions as they like, but only one can be the "official" admission by which you are judged. This contest will have 3 prizes for the top three submissions, and each entrant can only win one prize. If there are less than six entrants, only two prizes will be given out. If there are less than four entrants, only one prize will be awarded. If there are less than two entrants, no prizes will be given. Selected prizes will be taken from the pool, and winners can choose between them. First place gets first pick. The objective: Create art about Limit Theory. This could be in written form as a story, lore, or a detailed idea for a mod. It could be visual like a gif, photoshop or video. Or even audio - anyone up for a bit of stand-up about Limit Theory? These are just a few ideas off the top of my head, but I'm sure you guys can think of a lot more. It is fine to use other games' assets in your submissions, as long as your work is your own. Rule of thumb: "Does it spotlight Limit Theory?" I'm going to be using a new system from now on. There are four prizes. If fewer people submit entries, fewer prizes will be given, same as before, BUT all winners may choose one prize from the full pool above. It's simpler and easier to keep track of. The artwork needs to be about Limit Theory per the objective. Everybody is free to enter but can only submit one entry to the contest. You are free to change or replace your submission for as long as the contest is open. If you have submitted more than one work, you need to be very clear about which one you're entering. If there is any doubt, the latest entry in the forum thread will be judged. You cannot submit something you've already submitted to a previous LTFC. Submitting things you plan to (or have) submitted to other non-LT contests is discouraged. All contest submissions have to be made as a reply to this thread. Submitting a prize does not exclude you from having a submission scored. Judges are not barred from making a submission themselves, but their submissions can't earn prizes. If they would like their submissions to earn prizes, they cannot act as a judge for that month. The contest will be open to new submissions until Tuesday, December 5th, 23:59 GMT. Discussion about this contest or submissions can happen here. Any prizes are yours to do whatever you want with them. You can even give the prize to someone else if you'd like, and they don't have to be from this forum. If last month's first-place winner gets first place in this contest as well, they must wait to choose their prize until after the second place winner of this month chooses. Note: if you're using another site to host content, make sure the title and comment displays that it's part of a contest submission. This is to avoid future Googlers from becoming confused when looking for official content. So using some of my current "research" on procedural displacements and texturing, here is a small video, featuring also some original music from yours truly. With a topic like "beauty", it had to be classical music, of course. Without further ado, here is the youtube link. As you can see at the end of the movie, the model is just 3 concentric spheres; all the details and everything is from the function editor. The perfect solution for the lazy 3D artist . The shield sparkled and danced. Colors played across it like auroras, chasing the invisible beams of charged particles. He watched them, enraptured. His radiators glowed a bright yellow, fed by scalding coolant from his guns, and their colors too were beautiful. The deep bass hum and rumble of the reactor was punctuated at intervals by the percussive thunk of the guns. The console emitted a harsh buzzing noise—but its sound was not unwanted. It belonged—no. It was necessary. Necessary as the ascending scale and subtle crescendo of the reactor. Necessary as the ever more striking colors of the belabored shield. The shield, with a final flash of defiance, caved. A radiator exploded into a starburst of yellow-white droplets. The beam carved a line across the hull, inexorably and marvellously. Metal sprayed up behind it, glowing the peculiar dim-bright violet of hundred-thousand-Kelvin plasma.The reactor's song came to an end in a heavy thump as the beam pierced it. The line curved as it was cut. Its arc was perfection itself. As the cockpit was finally breached one last thought flickered behind his smiling face. All things serve the beam. "Beauty, the objective appraisal of an object or concept. it is a subjective term. one could find beauty in a high value contract for transporting a few tons of Tea for a few million credits. it could be watching hundereds of beings move along in their jobs all around you in a symphony of capitalism. where one goes to find it, is anywhere. it could be the fuzzy dice in your cockpit, the planetary ring you find the best ore in, the local star that shines bright in through your UV protected glass. the word is subjective, like love, adn is usually synonymous. it can be taken out of context and mutilated, but still it persists today. we write it and express it in the most synchronicronich way we can, but it can only be understood by few. it pains me to use the word, but i use it lavishly. women, drinks, views, my desk, the irony of situations. its all part of the dribble that comes out of my alcohol smelling lips, but are spilled none the less. The universe is full of wonders. There’s no other way to put it. You could spend your entire life in space, jumping from system to system and would still miss something that some other traveller has seen, stopped his craft and said ‘I must get a picture of that’. This month’s special feature is a guide to places in the universe that you really have to see! We have chosen places that are of (admittedly!) varying difficulty to get to, but all of which offer something that is unique to the known universe. A warm, watery world, Poseidon is known for two things: Ships and ships. On the surface, tourists navigate its balmy seas on catamarans, exploring its numerous archipelagos. In orbit, the mighty Poseidon Shipyards produce the finest spacefaring craft within 500 light years. Poseidon offers a strange duality. The beauty of its oceanic vistas combines with the awe inspiring constructions hanging outside the atmosphere. 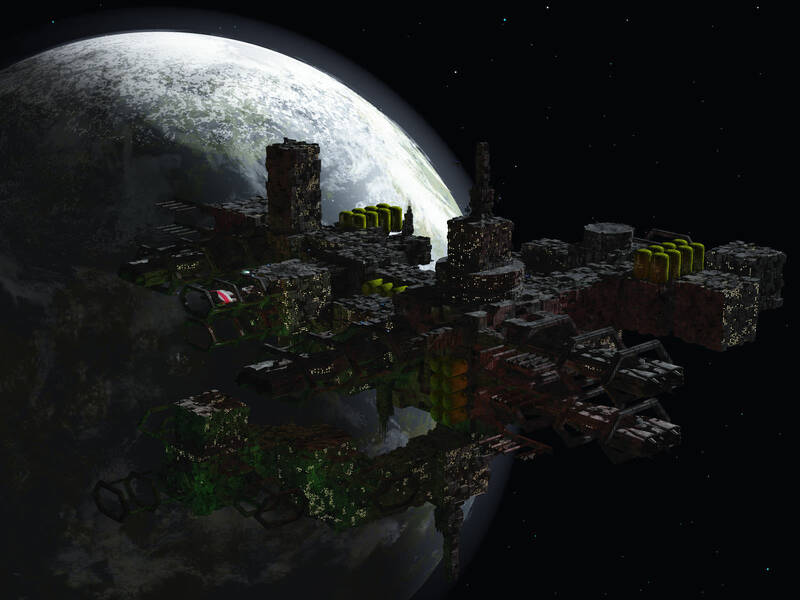 Over 60 orbital factories work night and day, producing a huge variety of the ships that ply the spaceways. Enterprising tourists can visit the civilian shipyards for an appropriate fee and see the artisans producing the next generation of spacecraft. They can also gaze down at the planetary surface and plot their surface excursions. 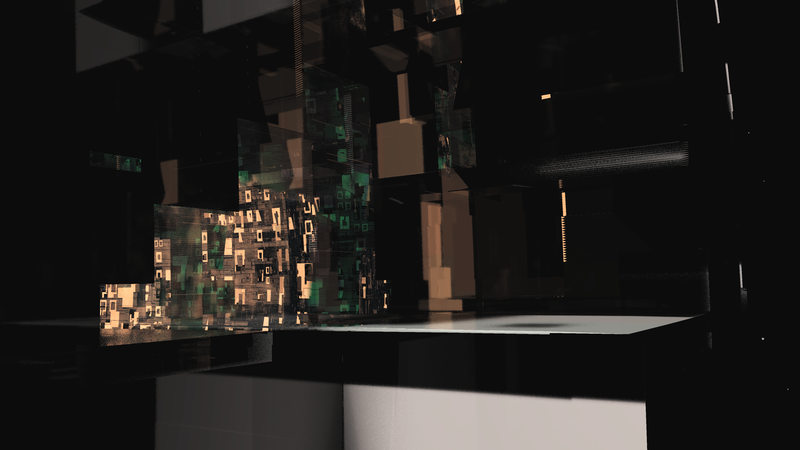 A Canopus Voidtech shipyard, constructing Tempests and Auroras. New Amsterdam is famed for its glittering spires, or at least that’s what the locals will tell you. Unfortunately, despite their flowery language, they’re not lying: Even though the planet is poor in mineral resources, the environment is extremely close to Terran norms, with gravity of 0.987g and an average surface temperature of 22 degrees Celsius. With that in mind, the locals have realised that tourism is going to be their greatest export, so they made their cities as clean and aesthetically pleasing as they could. You won’t find grimy towers like on Castor IV or the ‘pit cities’ of Fei Lian, no, you will find bright, clean, almost needle-like constructions offering views for miles around. The unvarying terrain and unpolluted atmosphere offers some of the greatest sunsets in the known worlds and the 22 hour rotation period means not having to wait for very long. The bars are good too. Kavir is an arid world with particularly hardy native life. Its surface is divided between sparse grasslands, salty desert flats and shallow oceans. Surface settlements are domed due to the heat, but surface excursions are not prohibited and it is suggested visitors travel to one of the coastal regions and bask in the oceans. Similar to the Dead Sea on Earth, the hypersalinity of the water makes swimming more akin to floating. The domed cities also mean that light pollution is kept to a minimum and views of the nearby Omega Nebula dominate the sky during the planets 15 hour night. One of Kavir's many beaches. Located 6,000 light years from Earth, the Veil is a nebula that was concealed from terrestrial observers by other stellar phenomenon. Its peculiarly dense clouds are unlike any nebula in known space and refract the light of the protostars concealed therein. This gives an astonishing rainbow effect for a traveller willing to join an expedition that would travel nearly 800 light years away from human civilisation. Luckily, these days a decent starliner can make the trip within 20 hours and provide luxurious accommodations for all visitors. Travel within the nebula is fraught with danger due to the density of the particles which can cause interference with communications and navigational equipment. Jewel of the Western Fringe, Nimue was a heavily populated ocean world. Colonised in 2510, its clement climate and spacious continents lead to unprecedented population growth. By 3255, it was the capital world of its sector and boasted a population of nearly 450 million people. Then the war started. In a mere 3 hours the entire surface was scoured of life when the 12th Imperial Battlegroup, fighting for the Regent, deployed nova bombs against the pro-empire populace. The Nimue of today is nothing like the verdant world it was, its thick atmosphere still choked with the ashes of its former population. The surface is dotted with craters and here and there the partially melted ruins of cities stick out of the dust like tombstones. 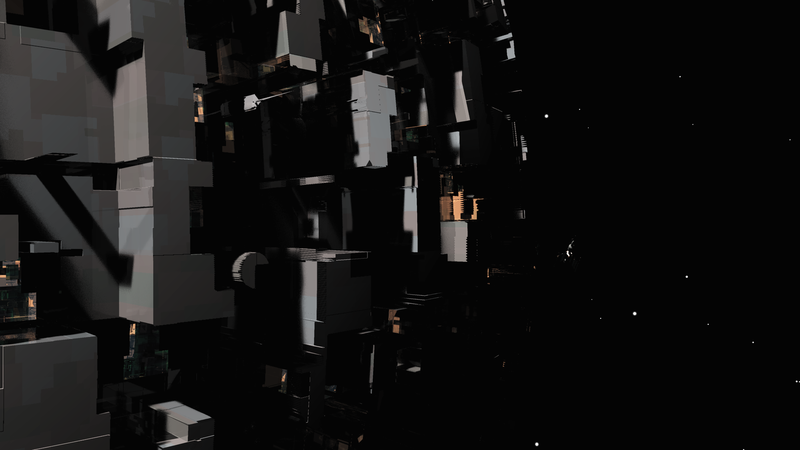 Visitation is permitted and an orbital station provides amenities. It is estimated that, without human intervention, the planetary biosphere will take many millions of years to recover. Nimue. A testament to the Regent's hubris. A marginally habitable ice world on the Southern Fringe, Auxesia is home to the Auxesian Man o' War, a strange zooid species that forms itself into great balloon-like colonies that drift across the icy wastelands, using the sunlight the local Class K star. As much of Auxesia's surface is sub-artic, the Man o' War thrives everywhere but the equatorial regions, which have a boreal forest analogue and primitive avian species. Importation of biological material to Auxesia is strictly prohibited as this might disturb the delicate native ecosystem. Travel to the Man o' War breeding grounds is permitted but strictly regulated. Trespassers are dealt with harshly. Best described as an anomaly, Eurybia is one of a kind. A desert planet located in a nigh empty area of space, it would be completely unknown except a particularly thorough explorer insisted on doing surface landings on every planet she surveyed. 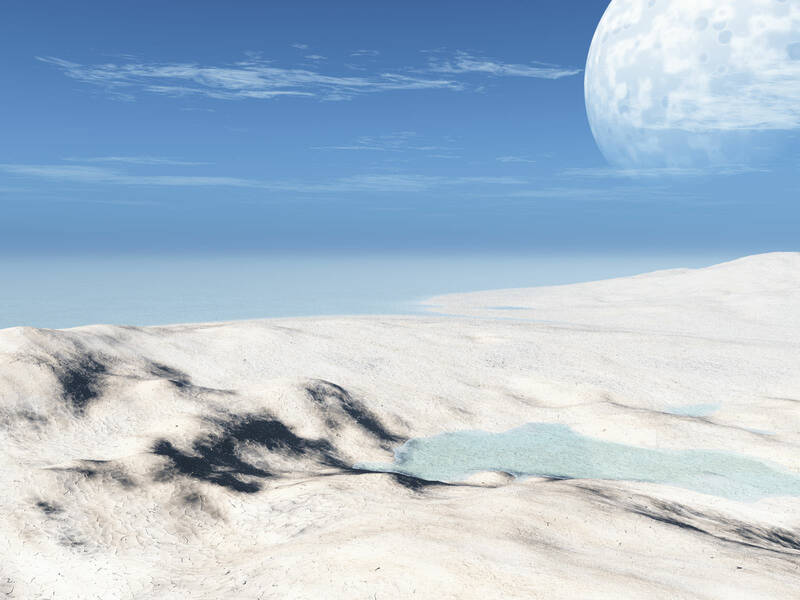 Seen from orbit, Eurybia is a standard Mars analogue, a cold and inhospitable waste of matter. Seen from the surface, however, you find yourself surrounded by crystals, ranging from ones as big as your boot to ones the size of our greatest warships. They are uniformly purple and glow with an inner light. 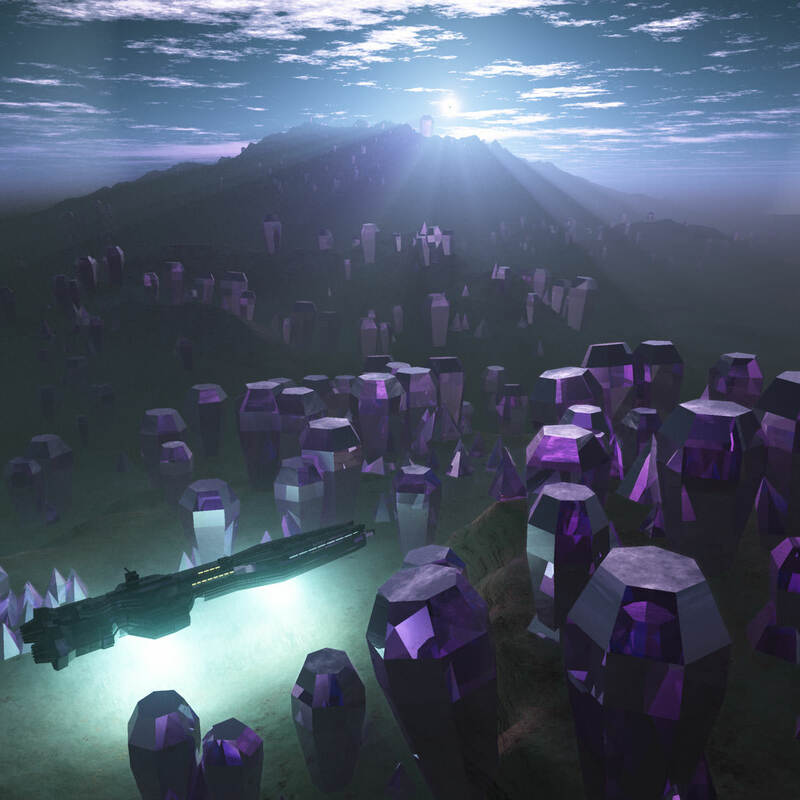 Most strangely, observers have noted that the crystals emit a high pitched humming, which they can feel through their environment suit. Though not known to be harmful, this has lead to Eurybia being placed under an Imperial interdiction until this phenomenon is further investigated. One of the very few surface visits to Eurybia. Ha ha, yes. This may seem like a cop out, but Earth is one planet everyone should visit. Its biological diversity isn’t what it once was and it could almost be considered a backwater in these enlightened times, but ultimately it’s where we all came from. Given the abuses our ancestral home has faced in our 14,000 years as an agrarian species, it is a testament to the resilience of nature that the place is even habitable. Modern technology has helped alleviate some of the environmental damage inflicted during the 20th and 21st centuries and the population has been declining for the past 500 years with the advent of cheap interstellar travel and monetary incentives to head for the colony worlds. Despite the unrest of the 22nd century and the collapse of the 29th, a vast amount of history remains on Earth, with monuments and architecture that has been fastidiously maintained. Museums containing artefacts as old as 8,000 years can be found on the surface and the visitors from all around known space can be found in the Sol star system. The bars aren’t bad either. This is by no means an exhaustive list, all readers are more than welcome to submit their own suggestions and we'll compile an article based on the best! Next month we'll be taking a closer look at the Polaris star system and the delights contained therein. Stay tuned!